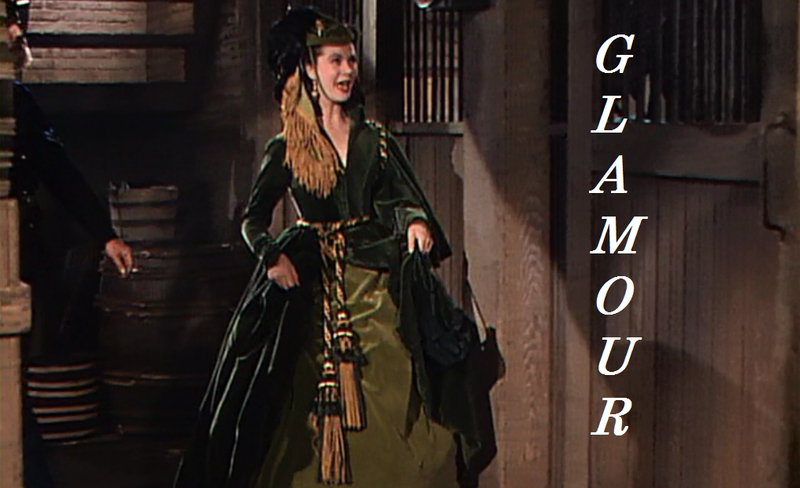 Seventy-five years ago today, Gone with the Wind made its much-anticipated premiere at Loew’s Grand Theatre in Atlanta, and fans ever since have been plaguing themselves wondering what would have happened if Rhett gave a damn. There are many reasons why the movie, based on Margaret Mitchell’s Pulitzer Prize-winning novel, continues to sell out theaters and remains so beloved. Hattie McDaniel is brilliant. Clark Gable is the most charming thing on the planet. Olivia de Havilland makes even the most altruistic person look a little inadequate, and the music—the music!—makes you want to sing an instrumental tune at the top of your lungs like Jack Black in The Holiday. 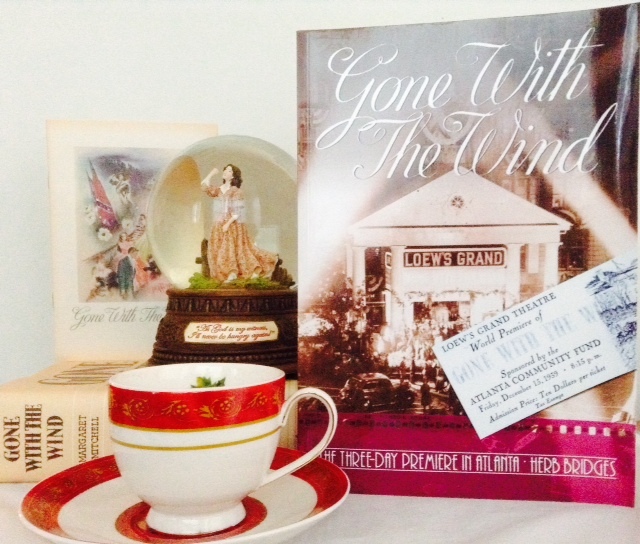 But the real reason behind Gone with the Wind’s success, without a doubt, lies in its heroine. 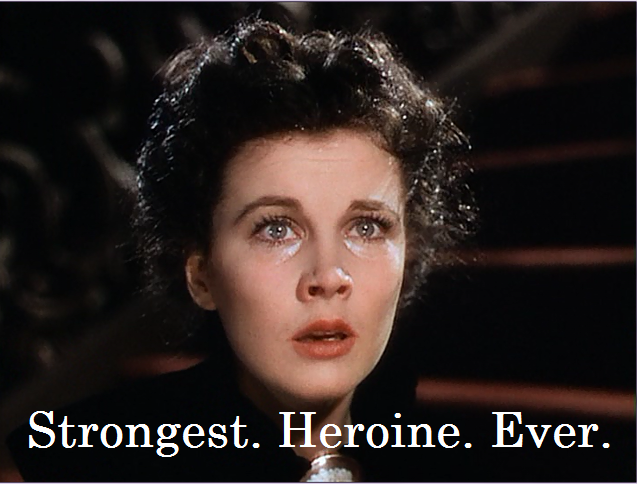 Scarlett O’Hara and her backbone of steel make the story of survival unforgettable, and Vivien Leigh’s portrayal is the best thing that’s ever happened in the history of cinema. (Scientific proof still pending.) Never has a character been so resilient and so completely unwilling to be kept down. Love her or hate her, Scarlett O’Hara is the true embodiment of a fighter and can teach us all a little something about never giving up. Here are eight moments when she showed us her mettle. Come on. He absolutely deserved it. Even if you could put aside his hoity-toity walk and the way he always had his hands in his pockets, he completely led our Scarlett on. She wore her prettiest dress, showed her bosom during the daytime and professed her love to him. And what did he do? Made some silly teasing remark about her always having his heart, then turned around and told her he was going to marry Melanie. Slapped. 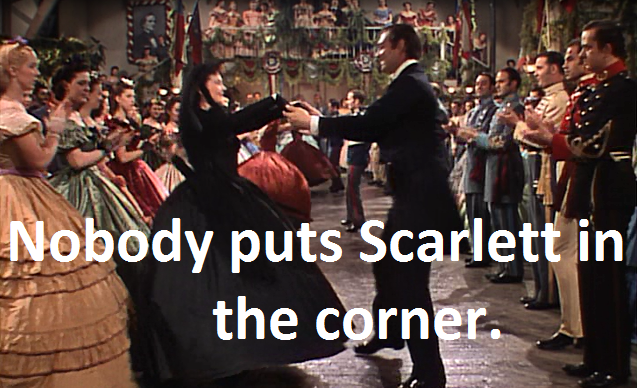 Oh, Scarlett. If only you could have seen that you were too good for him from the get-go, you would have saved yourself and everyone else so much pain. But then I guess the next four hours of the movie would have been pretty dull. Okay, she probably shouldn’t have married that goofy Charles Hamilton when she wasn’t in love with him, but she was an impulsive, heartbroken teenager. (Thanks, Ashley.) She did what she did. You mean to tell me a sixteen year-old war widow was never supposed to dance again, especially when someone as dashing as Rhett Butler was bidding one hundred fifty dollars in gold just to have her? Dr. Meade was in no position to say she wouldn’t accept. Mrs. Merriweather could look as aghast as she wanted. Go ahead and faint, Aunt Pittypat. Reputation be damned, this girl was dancing. Remember when Ashley told Scarlett she should go upstairs and take a nap with the other girls during his picnic? Yeah. He clearly didn’t know what she was capable of. With Atlanta literally burning down around her, Scarlett O’Hara—she of the “fiddle dee dees” and eyelash fluttering—delivered Melanie’s baby with no help (no offense, Prissy), then managed to get through the blazing, crumbling city to make it home to Tara. Sure, Rhett helped get her out of there, but it was her gumption and determination that made it happen. Rhett was quite comfortable at Belle’s. Her home was ransacked. Her mother was dead. Her father was batty. There was no food, no money, and did I mention she had just made it through the burning of Atlanta? Digging a radish out of the dirt in order to eat could have been a low point for anyone, but Scarlett didn’t feel sorry for herself. She pledged in the best movie speech ever that with God as her witness, she’d never be hungry again—if she had to lie, steal, cheat or kill. And she did go on to do all of those things. But she and her folk never went hungry again, did they? What part of needing three hundred dollars to pay the taxes on Tara did people not understand? Unless she wanted her whole family to be homeless, Scarlett had to do something. Marrying Frank Kennedy was as good an idea as any. Sure, he was her sister’s beau. Sure, Suellen cried about it. A lot. But you can bet she’d be crying a lot harder if she didn’t have a roof over her head or food in her stomach. After thirteen years of struggle, after losing everyone important to her, after realizing that Rhett was the true love of her life only to hear that he didn’t give a damn, how was she even standing? But stand she did, and with that sparkle in her eye when she thought of Tara, Scarlett vowed that she would find some way to get our Rhett back. 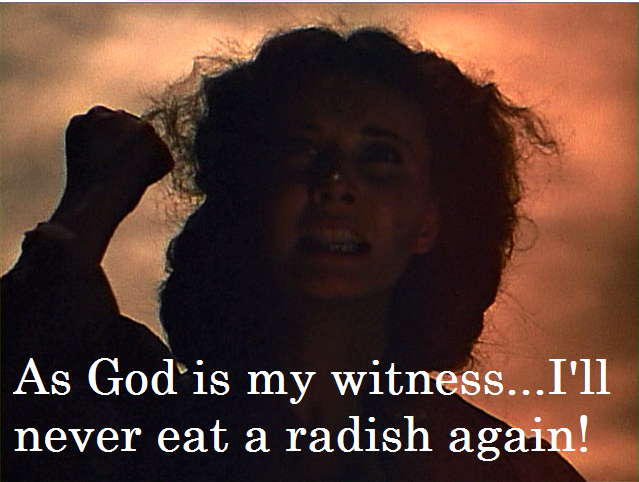 While we’ll never know what happened next, given Ms. O’Hara’s track record, I’m willing to believe her. If anyone can do it, it’s Scarlett. The woman wore velvet drapes. There’s nothing she can’t do. With so many great moments to choose from, do you have a favorite example of Scarlett’s fortitude that didn’t make the list? When are you going to inevitably do the Melly list? You know what I never got? Why Frank marrying Suellen wouldn’t have saved Tara. Why didn’t Scarlet just tell him to marry her now and then manipulate him into paying the taxes? There is absolutely a Melly list coming in the future! A list for all of them, as a matter of fact. As for Suellen marrying Frank, it never would have worked! She hated Tara and wouldn’t have done a thing to save it. 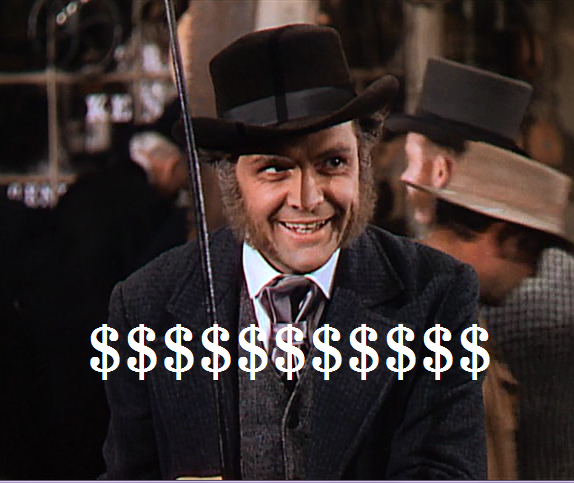 Even if Scarlett had managed the $300, she needed Frank’s money for the upkeep, not to mention buying the lumber mill. Suellen would have just moved to Atlanta with Frank leaving Tara in the dust. And no way was Scarlett going to live off of Suellen’s husband’s charity. An amazing post. 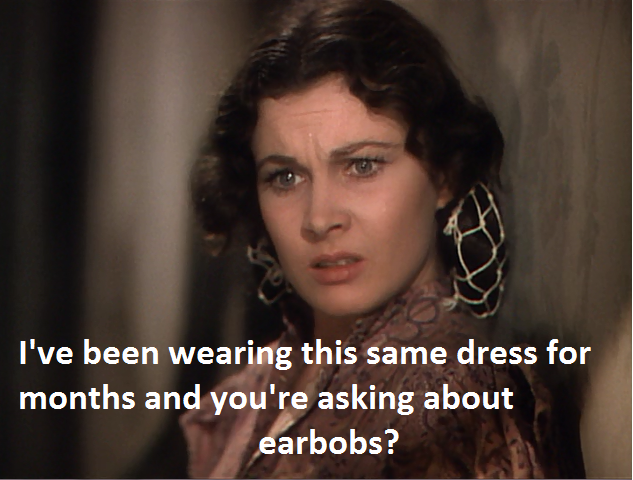 Scarlett O’Hara is my absolute favourite heroine. I love her gumption, she is so determined and unapologetic about who she is. Although the means by which she uses to get her own way are a little unorthodox, she has good intentions. 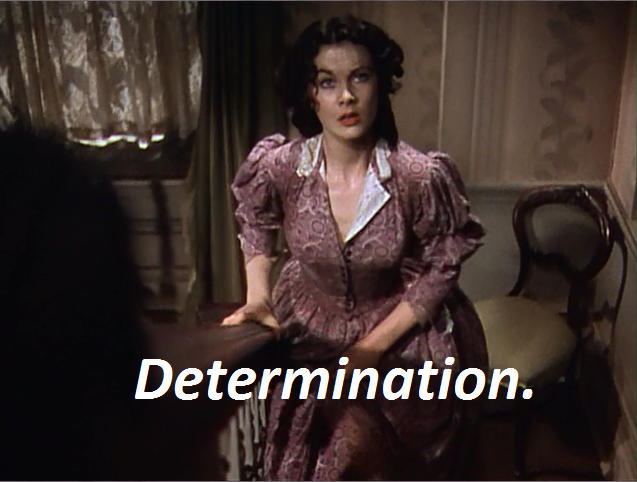 Whenever I’m faced with difficult challenges in my everyday life I always like to think, “What would Scarlett O’Hara do?”. Thank you so much. So glad you enjoyed the post!! I completely agree with you–Scarlett is a great go-to inspiration when facing life’s challenges. She’s the best character ever!